Losing 1-2 coaches to other "Conference" USA teams, and a similar number to other G5 conferences, is the definition of unsustainable. It's also the definition of bad management, and I'm done with the poor-mouthing. Not buying it is real, to this extent. Hell, the way we use tight ends, any of the existing position coaches can go through the 2-4 plays a game one of them may be in the game. Saving money is a win. Well, nowadays the TE coach has taken on a lot of additional side duties. He has to fetch Winston 100s for Tommy West and serve as a utility infielder in games of Fortnite. Per football scoop.... interesting. 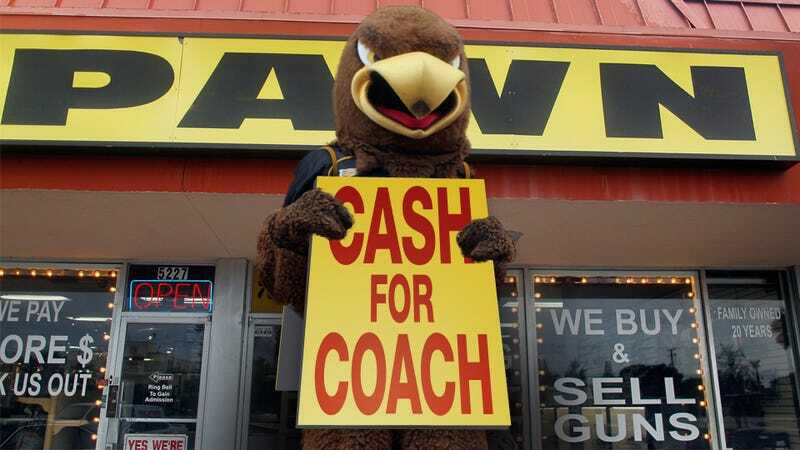 Some labeled him next OC for Southern Miss. Kansas: Les Miles has hired Les Koenning as offensive coordinator. Koenning served as running backs coach at Southern Miss this season. He has previously served as offensive coordinator at UAB, Mississippi State, Alabama and several other programs. What an exodus. Made a thread. Unlike UConn news, this deserves it.